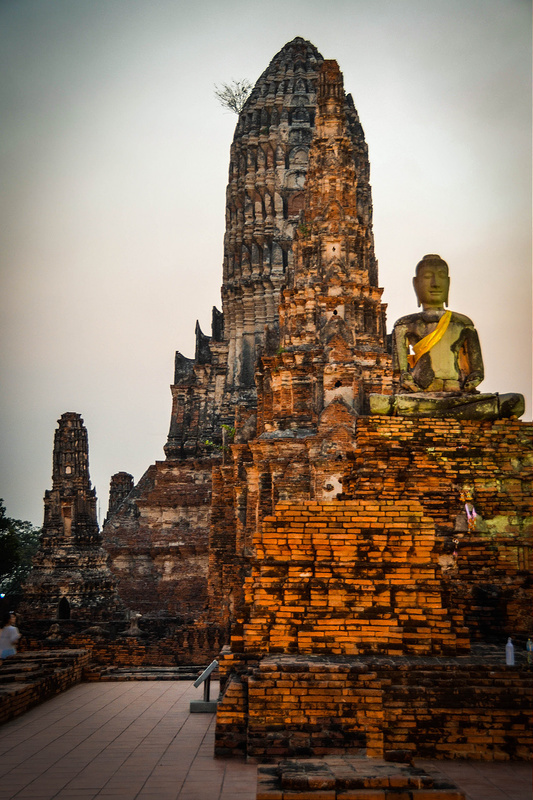 The first time I visited Thailand I left out Ayutthaya – the ancient and majestic city of ruins which lies just north of Bangkok. It was one of my biggest regrets. 18 years on during my second visit to the country it was an absolute must do on my already enormous must do list. 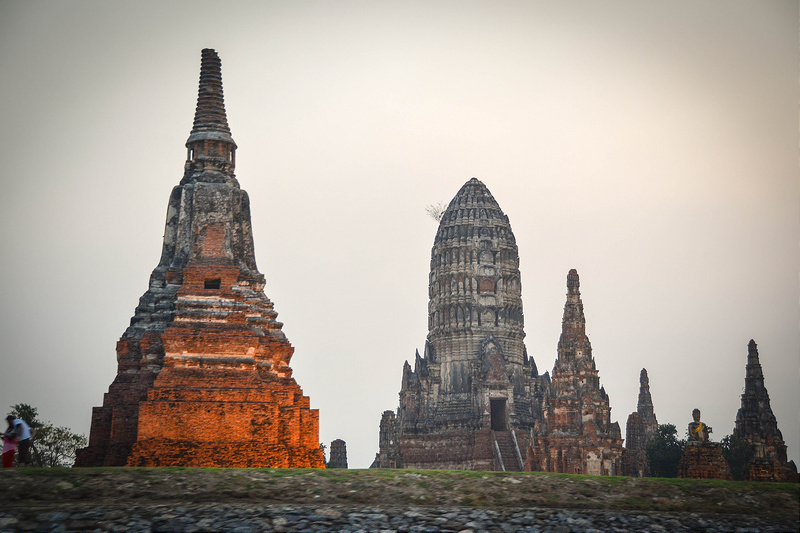 Although Ayutthaya is just a few hours away from Bangkok the pace of life is so much slower. I wanted to experience this in it’s full glory so we travelled there by train. A journey of two hours that took us along the river and through lively villages and sleeping fields. It was a battered old train with a kind conductor who made sure our family were seated together in a cool compartment. We didn’t ask him to chaperone us but he seemed to want to take my two girls under his wing. We shared kit kats and crisps and had a little banter in sign language before he left to inspect tickets. Arriving at the station we caught a tuk tuk to Baan Thai House, Ayutthaya. This is an idyllic little guest house just outside the town with a modern swimming pool, frangipane trees, a warm welcome and one of the best Pad Thais I’ve eaten – ever. It was too late for us to have dinner with the other guests so our host suggested a little boat trip to see the temples followed by a wander around the night market. We were all sold on that idea instantly. 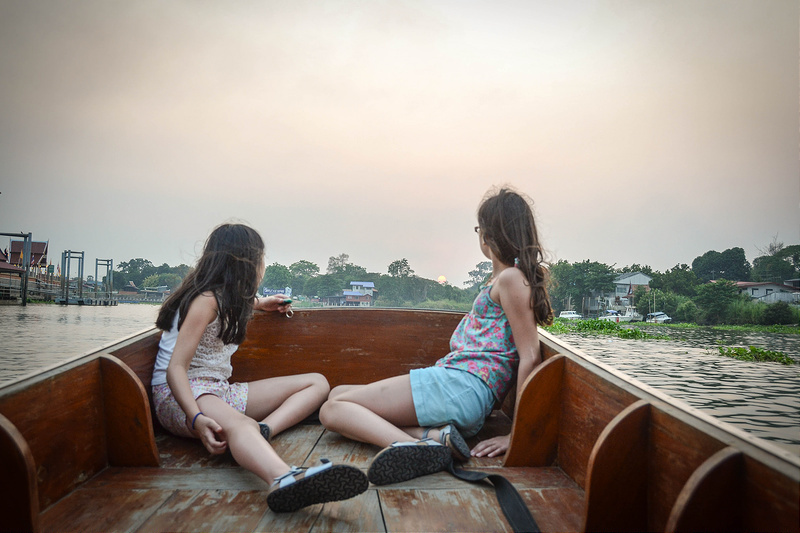 The boat meanders along the little canals and you can catch sight of Wat Chai Wattanaram, Wat Na Phra Meru, Wat Kuti Thong and Wat Suwannawat on the way. Even at dusk there was no mistaking how magnificent this city once was. 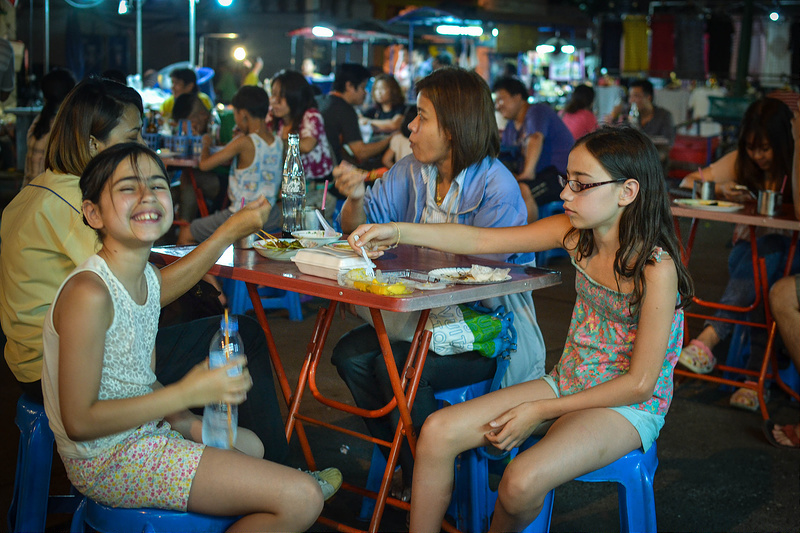 We were feeling relaxed and hungry by the time we moored at Hua Raw night market. 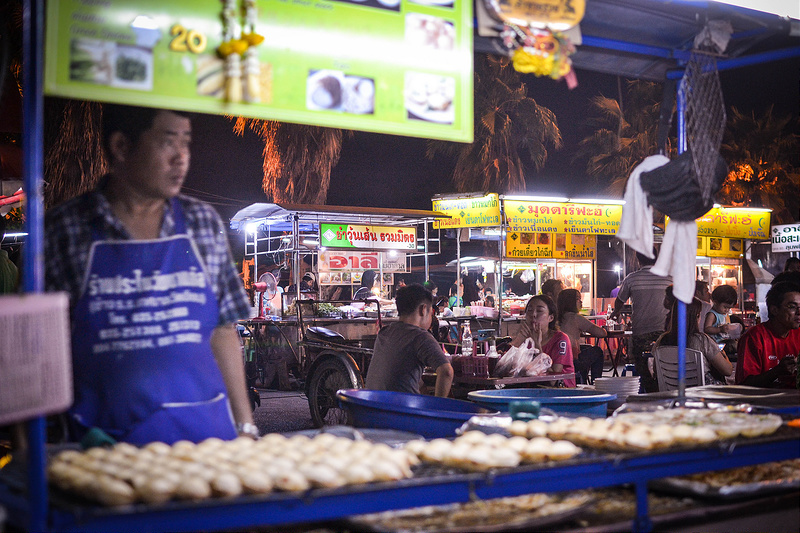 Although small, the market had plenty of street food on offer and a laid back atmosphere. The girls enjoyed parathas and kebabs but my husband and I settled on a classic Som Dam Salad. 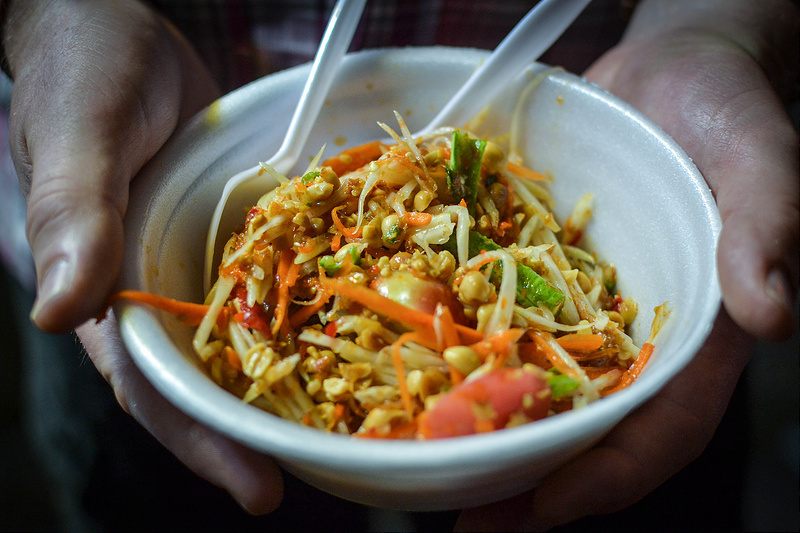 This had an unripe green papaya base which our street chef tossed into a large pestle and mortar. 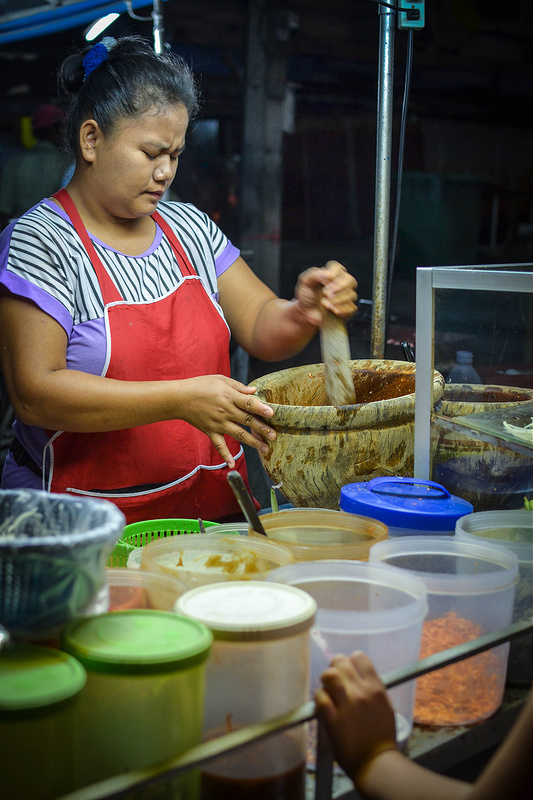 She then added garlic, palm sugar, raw green beans, tomatoes, fish sauce, lime juice and of course those fiery little chillies. I had three, my husband five and the pregnant lady before us in the queue eleven! 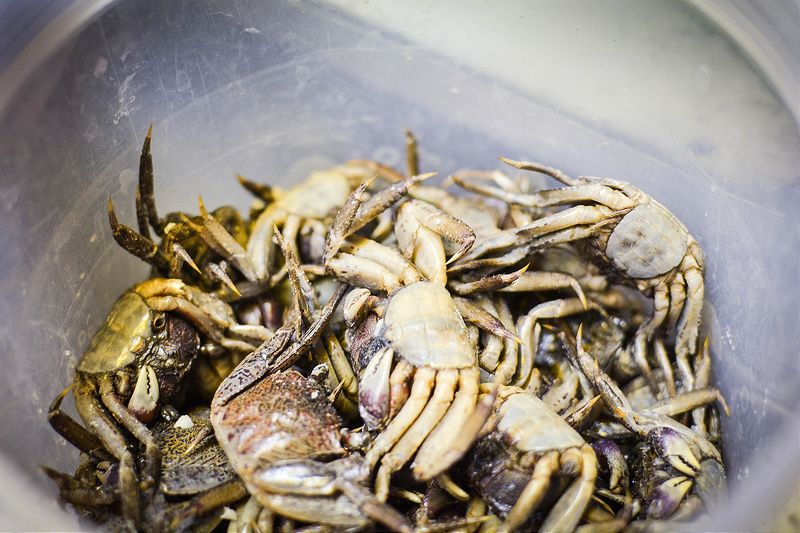 Three was more than enough for me and I also declined the salted crabs. There was rather too much crunch already and I wasn’t entirely sure the crabs were all going to be dead when added to my food! For dessert there were several options. I had two portions of sticky rice and mangoes. Of course. 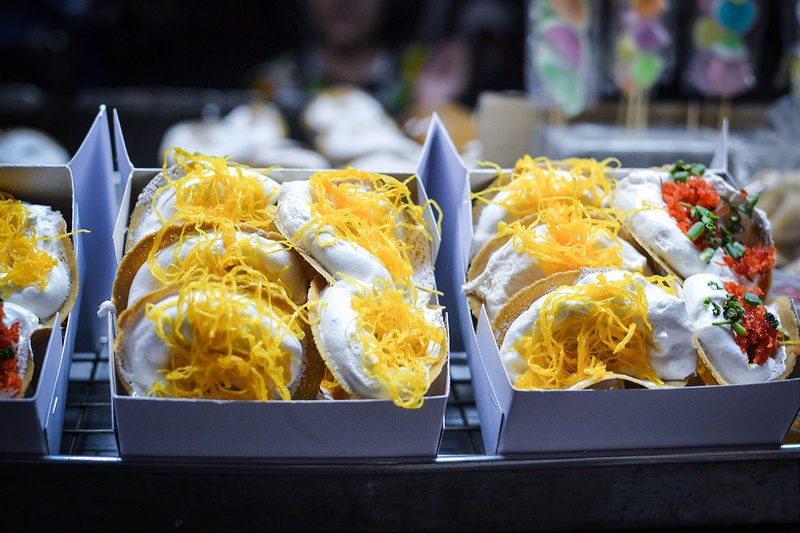 But we came across these little pancakes with a mallow like filling and various toppings. They are called Kanom Buang. Don’t be fooled into thinking this is just a dessert. 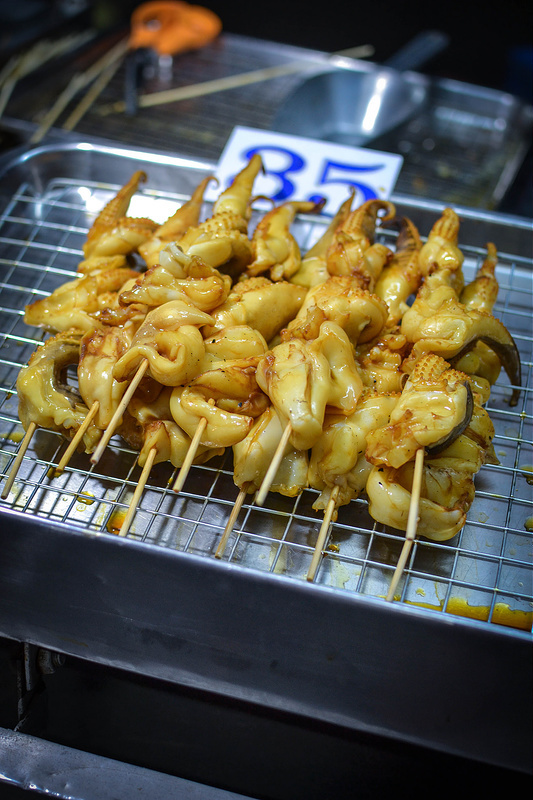 There was a deadly looking option topped with chilli paste and spring onions! 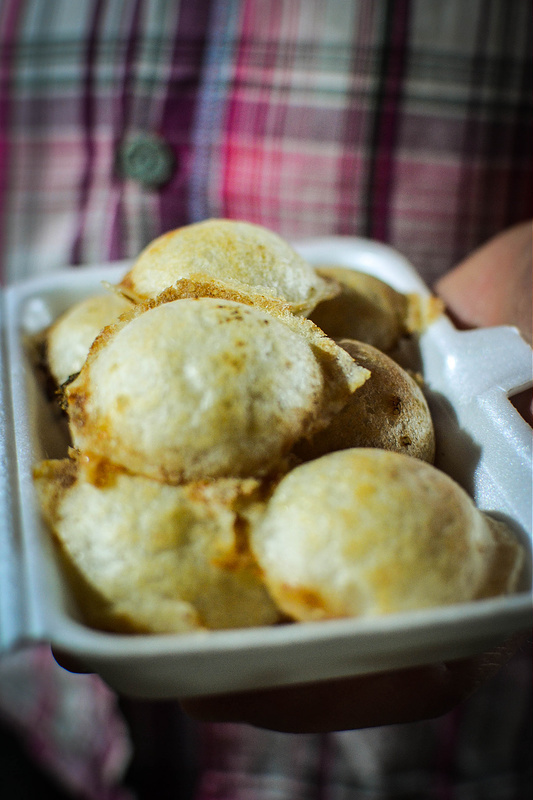 I also loved these little puffball pancakes. 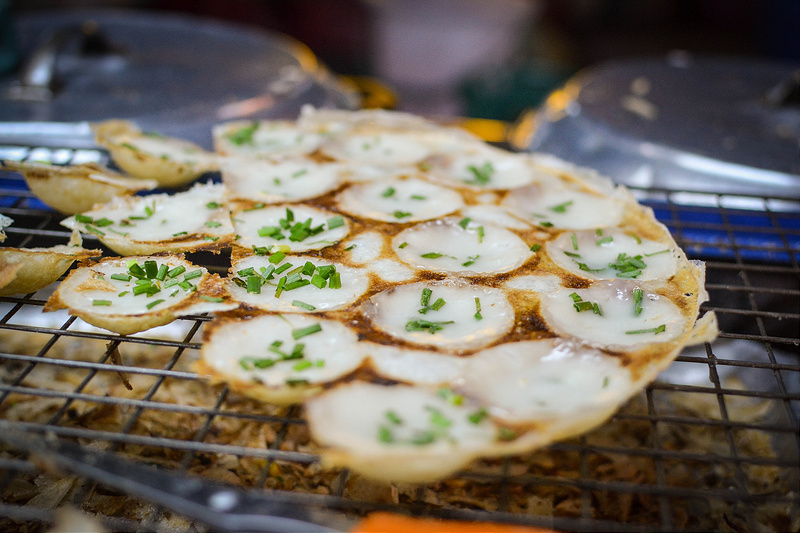 Kanom Krok. Again sweet and savoury options to choose from. They reminded me of poffertjes I’d eaten in Amsterdam. The vendor gave me the biggest smile on my third visit and tossed a few free ones into my portion with a wink. 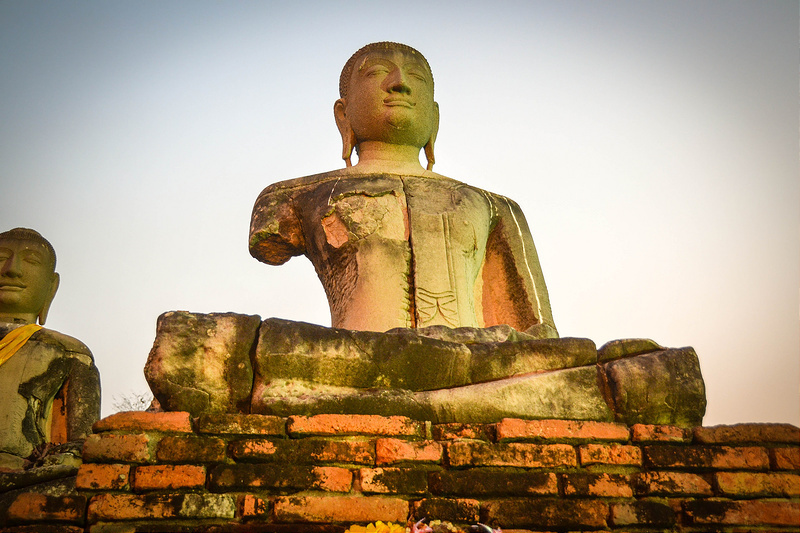 We loved our evening introduction to Ayutthaya. Weary with travel but sated with good food (and a little wine back at base), we slept well that night. 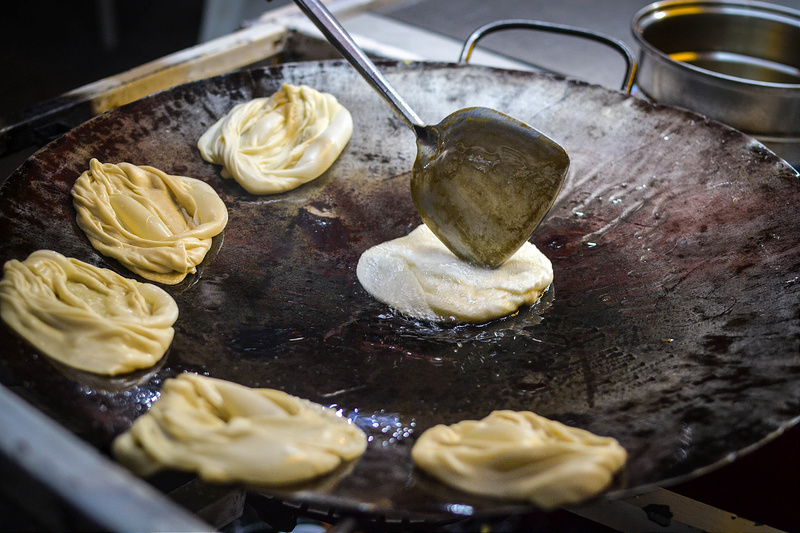 Have you been to a night market? 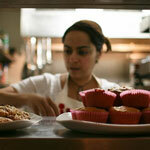 What did you savour from the local food on offer? Such an evocative post Urvashi. We haven’t taken Imi on any long distance trips yet but this makes me want to jump on a plane right now. I love the idea of the train ride, those day to day experiences are often the really memorable ones and the FOOD looks amazing! Thanks Jenny. We always wanted to do a trains, planes and automobiles type holiday with them so they really do experience everything. 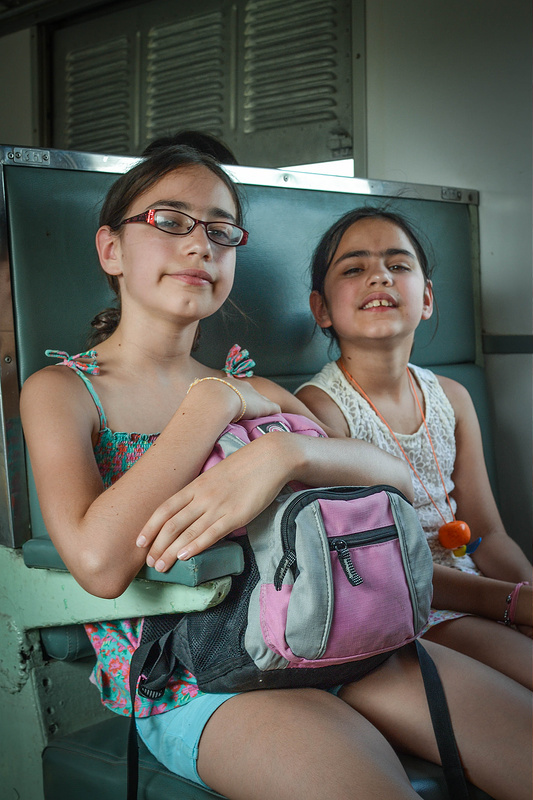 They’ve sat on top of buses and trains in India, ridden horses, kayaked, joined in at the local school. I think they are quite resilient really as long as they get a bit of 5 star hotel pooltime every few days and access to a huge hotel buffet of foods they are familiar with.